Dorah has been in an abusive marriage and is currently in the process of getting a divorce, getting out of debt, being trained for Early Childhood Education on the weekends, and working full time at a local preschool. About 6 months ago, Dorah’s eye were opened. Jesus became real in her life and it was an exciting day. Mimi had been meeting with her and encouraging her that God has not forgotten about her, that He loves her. In January 2015, Dorah tithed for the first time, gave a tenth of her gross income and she tithed with a cheerful heart!! After 6 months of faithful tithing, she has decided to tithe 15% of her earnings rather than 10%. 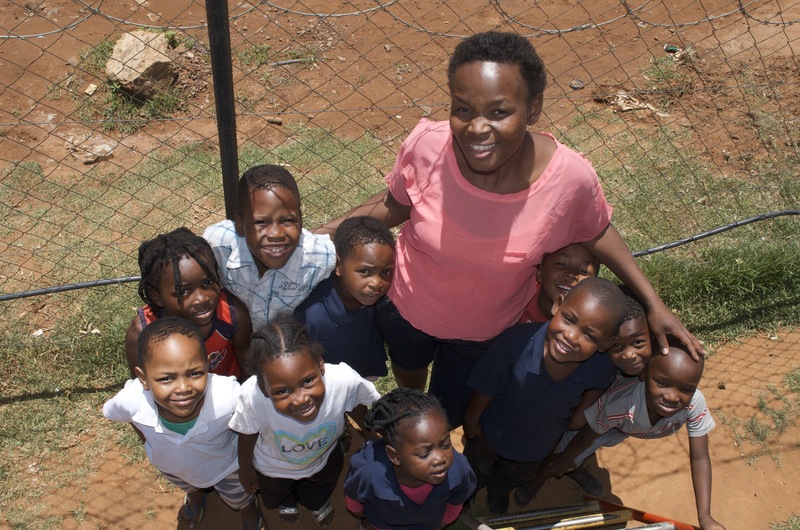 To us, these might sound like small accomplishments, but in the Townships, it’s unheard of. Since then, God has blessed her beyond her dreams. She’s learned how to dream because recently she wrote a business plan to better her community. Our heart is full as we watch her cling to God and really trust Him with her whole life. The veil over Dorah’s eyes have been removed and now she has an understanding as to how to help others in her community. Eric and I have decided to really focus on discipleship… go slow and go small. We normally have 60-90 children at our weekly outreach, but we are determined to see transformation in their lives. We’ve decided in July, to only take 20 children that have been faithful in coming to our outreach and really invest in them and their family. We will also start a bible study/church in the Townships on Sunday mornings due to high demand. It’s been really exciting to see the Youth of Ikageng dream about what they want to do in the future. We are excited, because the active vision for Not Forgotten is: Releasing Purpose, Awakening Dreams! Slowly, we can see that eyes are being opened and people in Ikageng are starting to dream.